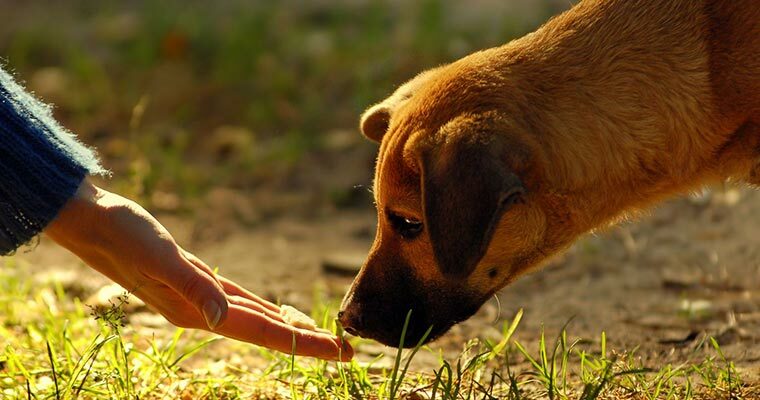 Every pet parent wants the best for their furry friend and would do just about anything to keep them around forever. One of the essential steps in assuring your pet has a long and healthy life is regulating his weight and making sure he gets exercise! Did you know that approximately 54% of dogs and cats in the United States are overweight or obese according to the Association for Pet Obesity Prevention? This leads them to be more susceptible to developing ill-fated medical conditions that will contribute to a shorter lifespan. 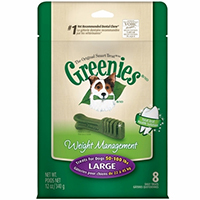 Fortunately, keeping your pet from being obese is entirely in your control! To get you started on the right foot, check out these five tips that can help with weight control, physical fitness and overall wellbeing. 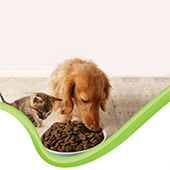 Whether you have a dog or a cat, he or she probably loves meal time! 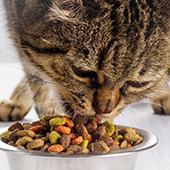 But when your pet needs to be put on a diet, portion control is the most powerful tool at your disposal to aid them on their weight loss journey. 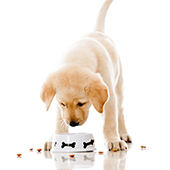 Immediately take your pet to the veterinarian to discuss their weight and the right amount of food they should eat each day. Once you get the information you need, stick to the new diet plan, even if your furry friend is wondering where the rest of their food is. 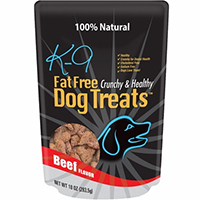 Low calorie treats and dry food are also great to jumpstart your pet’s weight loss! Carrying around extra weight puts additional pressure on joints, which can make it more difficult for your pet to get around. If your pet is struggling to move around and would rather lie around, you may need to support their joint health by giving them glucosamine/chondroitin sulfate supplements. 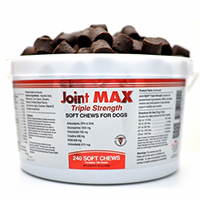 According to Dr. James Cook, DVM, joint supplements have proven effectiveness for managing joint health and even the slightest amount of weight loss can make a big impact on relieving joint pressure. Not all treats are created equal and some are high-calorie, sugar-laden indulgences that contribute to those extra pounds. 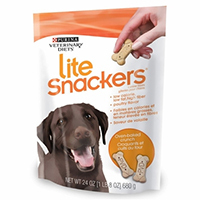 If you plan on giving your pet a few treats throughout the day, make them count by choosing low-calorie, sugar-free treats. But you need to monitor how many you give them on a daily basis as well, as you don’t want to be counterproductive to their diets. With that said, you should also seek to pick treats that come with additional health benefits like teeth-cleaning texture, extra vitamins and so-on. One of the most obvious ways to improve your pet's health is through exercise; and for dog owners, it's a little easier to get them moving than to encourage inactive cats to do so. When it comes to dogs, consider extending their daily walk time an extra ten minutes to help them burn more calories. 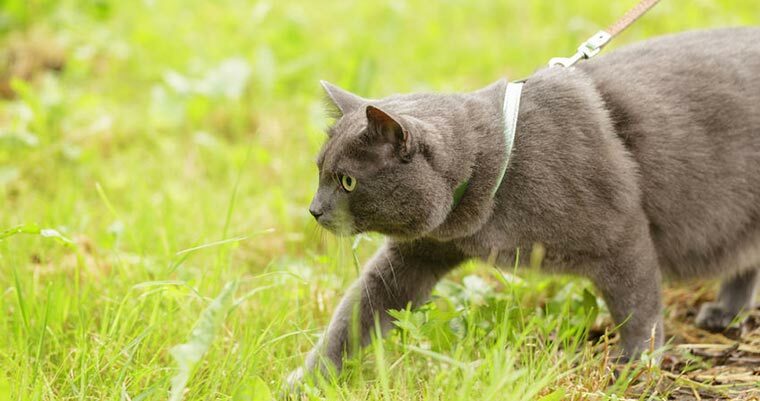 For cats, you'll need to be a little more creative because it's more difficult to walk them. 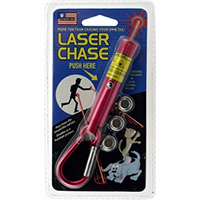 While it is possible to walk your cat on a leash and harness, you can get them moving with something as simple as a laser pointer darting around a room or by using an electronic mouse toy. It's important you take your pet to the vet on a regular basis for checkups. Your vet will be able to examine them and point out any issues before you could, which, of course, can help prevent its progression before it seriously harms your pet. 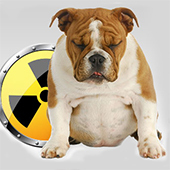 Make the most out of National Pet Obesity Awareness Day and put your pet on the path to healthy living! 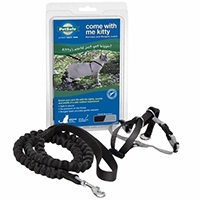 You can even keep track of your pet's progress with a cat blog or a dog blog to document their amazing changes, funny antics and overall wellbeing.